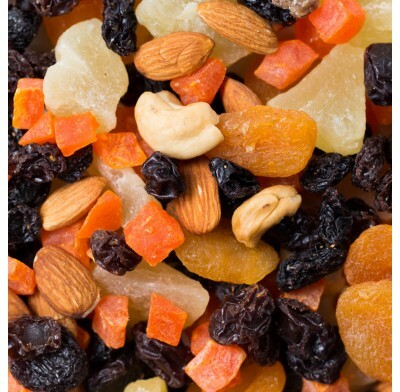 Deluxe Trial Mix from Setton Farms, a large combination of different dried fruits and nuts. 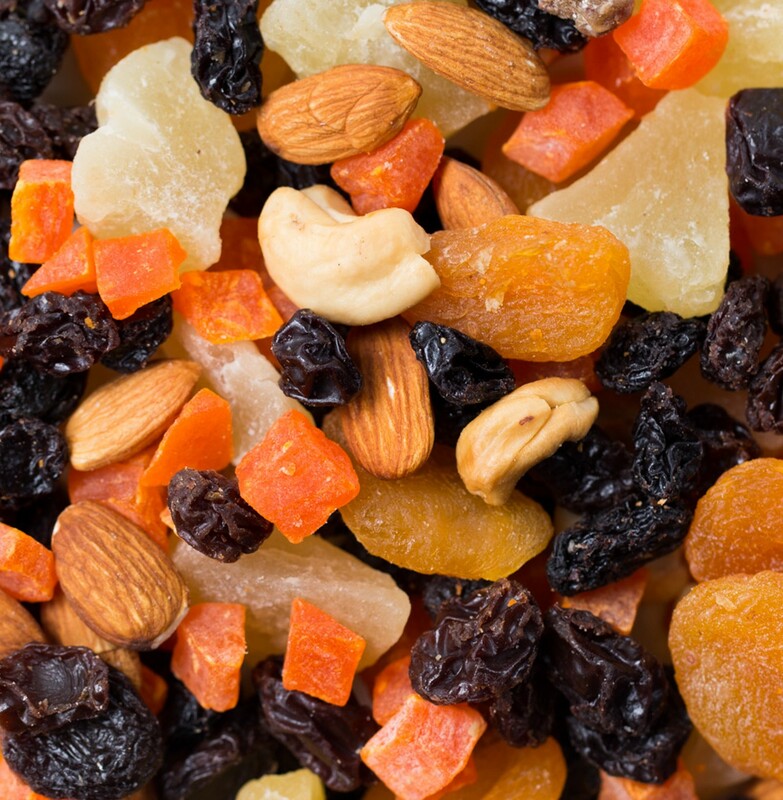 This perfect snack is made up of raisins, pineapple, dates, apricots, almonds, cashews, walnuts and papaya. Sold in bulk, delivered in a 5 lb. bag.